Oh the excitement over the Spider Man Watch! 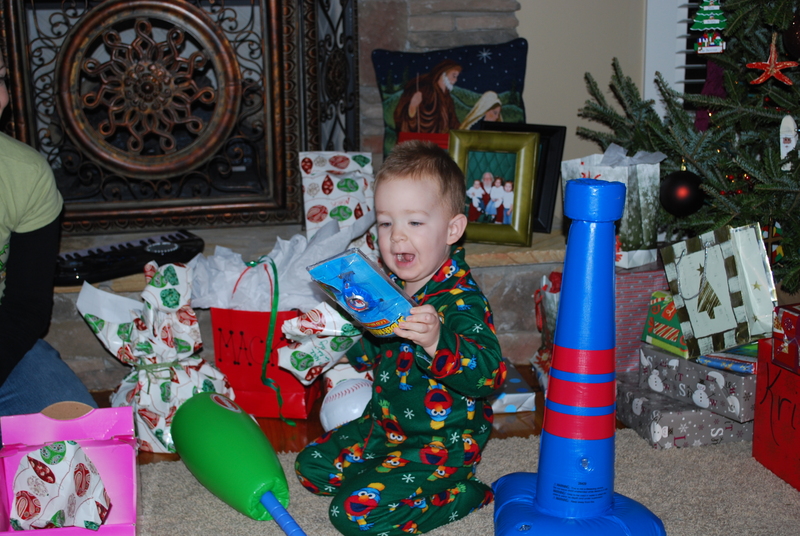 Mack just knew he was getting this for Christmas….and thanks to Elf Cindy, he did. He loved it so much that he wore it all day and all night! He kept it on all day Saturday, all night Saturday and even wore it to church this morning. BUT, we have a problem now. He can’t find it. When I ask him where it is, he just says, “I saw it somewhere.” We went upstairs and cleaned up his room, the playroom, the girls room and then came downstairs to clean up the living room, but we have not found the watch anywhere. It was only $7.00, but STILL!!!!!! Where is that watch??? It has to be in this house somewhere, which you think would be a simple thing—find a watch that is in your house….but I know better. He could have stuck it anywhere. I just hope he doesn’t have “fider man wash” withdrawals at bedtime. 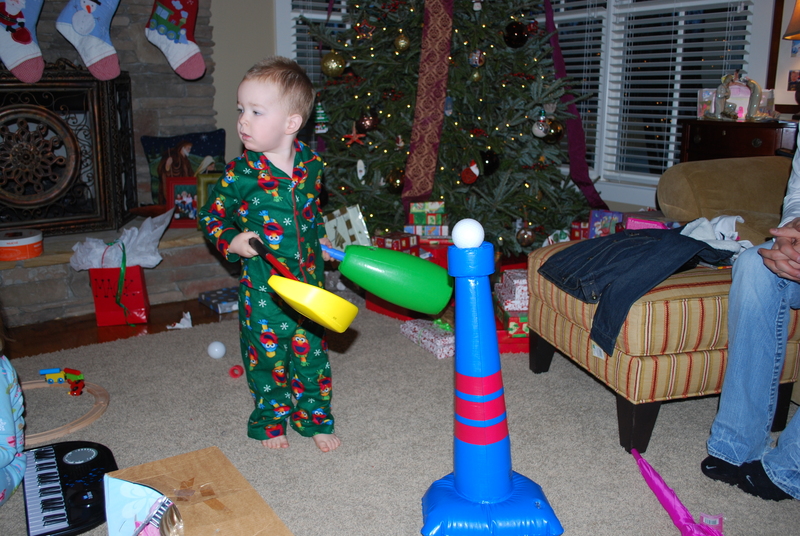 Poor guy is confused on whether to play golf or t-ball. 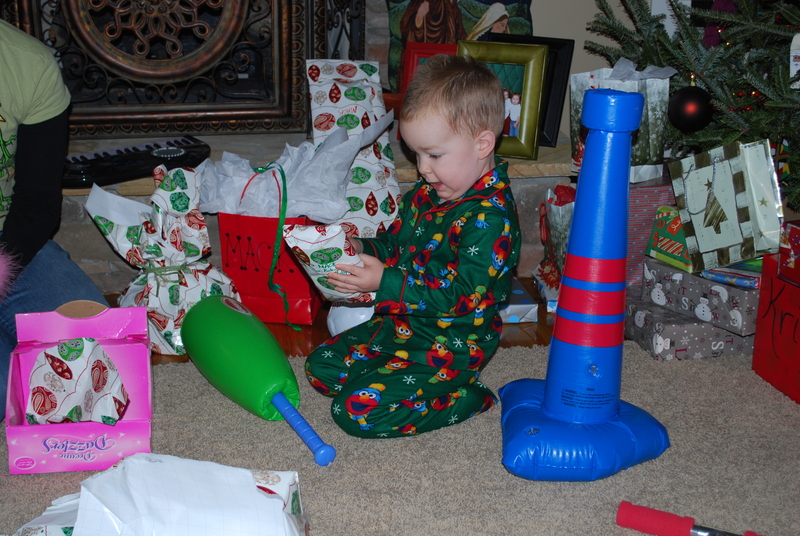 He is holding a golf club and a bat and has placed a golf ball on the baseball t. Hmmmm. Molly has enjoyed Ruby’s microphone, too. Here she looks like she is in some kind of crazy band from the 80’s. 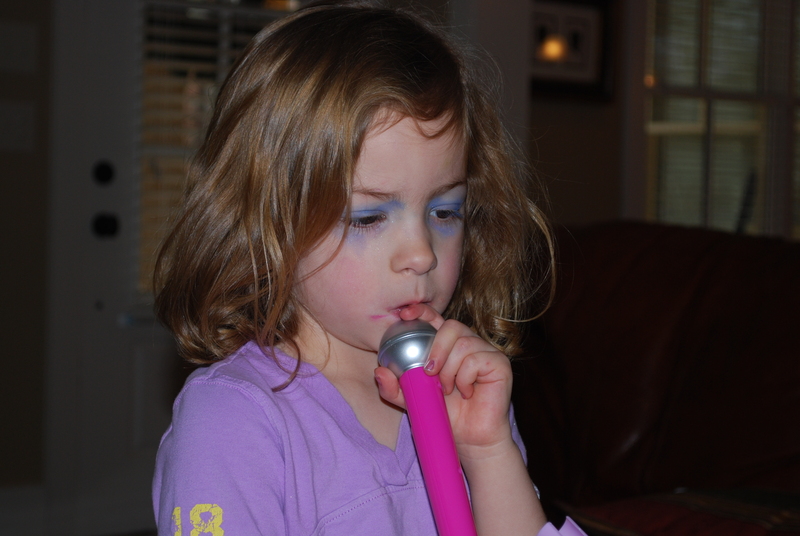 She got make-up from Gran, and she uses it. Kind of scary, don’t you think?